Wale has been bumping out of car trunks through Georgetown since the mid 00s. But his commercial notoriety outside of the DMV hit a drastic incline when he signed with MMG three years ago. His Interscope debut, Attention Deficit, received positive reviews but only peaked on the Billboard charts at 21. While his MMG counterparts, Ambition and The Gifted, peaked much higher, at 2 and 1 respectively. Wale's fourth studio album, The Album About Nothing, will hopefully drop before the end of the year. And while he has mastered the "club banger" formula, he is also able to craft much more complex tracks. He can jump into the rapper mentality and create a successful radio single, but he can also channel his inner emcee and give us thought provoking bars. Wale has been mostly consistent with his LPs and has also garnered the same critiques from his mixtapes. His junior MMG album (does that work? after his sophomore album..junior album....?) promises to tap into his successful mixtapes, The Mixtape About Nothing and More About Nothing. The versatility of those mixtapes are classic examples of Wale's lyrical range. Songs like The Kramer discuss racial tensions created by the "n-word". Wale's stirring lyrics follow a sound bit of Michael Richards (Cosmo Kramer) doing stand up and losing it when a black audience member "heckles" him. And songs like The Posse Cut give us the classic hood/club track delivered with sharp bars and head bobbing instrumentals. Wale even gives us a spoken word style track with The Ambitious Girl. The DC/PG native is regarded as a strong lyricist from most of his peers and critics. His clever metaphors and beat selections ensure that he puts together solid tracks on a regular basis. His Go Go influences come through in not just his instrumentals but in his cadence and especially in his hooks. Wale reps the DMV regularly and calls upon his upbringing to develop his lyrics. 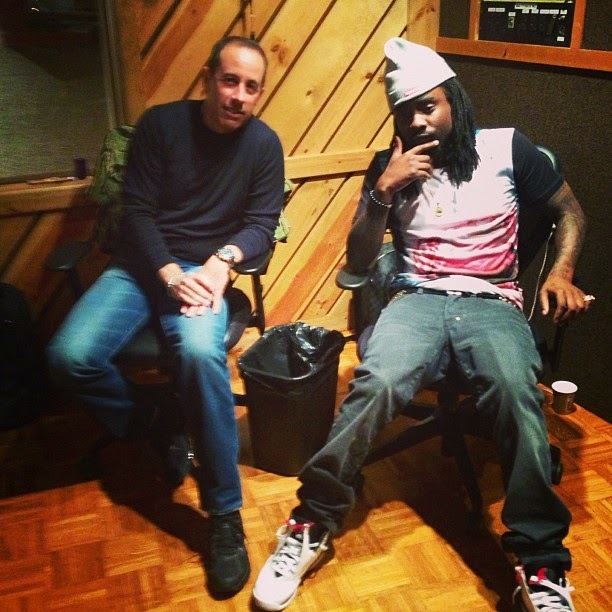 Wale is also a diehard Seinfeld fan, stating that he has seen every single episode. This admiration comes across in the aforementioned mixtapes where he samples many classic Seinfeld episodes. Going by the album title, The Album About Nothing, I hope that Wale gives us the sharp lyrics and a strong thematic collection that we all know he can create.